With an above-average enrollment rate at Kentucky online colleges, universities and schools statewide are expanding distance education programs to meet the demand. Between 2012 and 2015, the number of online learners in Kentucky rose by 11.8%, while the national average of growth was only 11%. In contrast, Kentucky on-campus and hybrid program enrollment rates experienced a 2.6% decrease. Compared to the 1.7% national downturn, these numbers demonstrate that Kentucky students choose online programs over on-campus options more often than learners in other parts of the country. Accredited online colleges in Kentucky provide a convenient, flexible alternative to rigidly-structured traditional programs. Distance education is also affordable, allowing candidates to avoid commuting costs and campus fees. 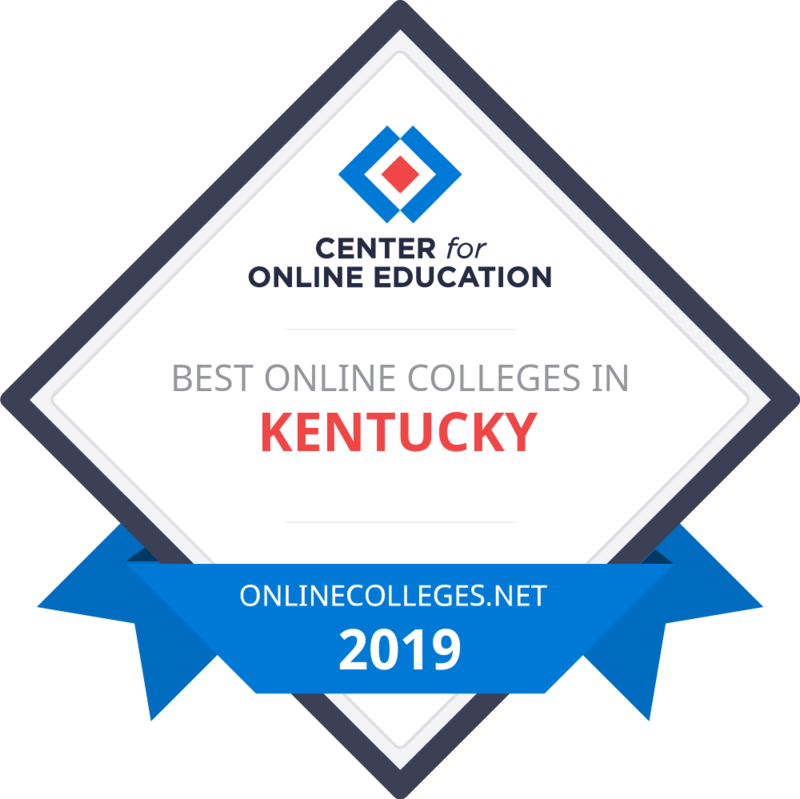 In this guide, we take a look at the best online colleges in Kentucky, as well as state educational and employment trends, scholarships and other financial aid opportunities, and popular careers for Kentucky graduates. Read on to learn more about choosing the right distance education program, and what you can expect once you enroll in online college classes in Kentucky. Between 2015 and 2016, Kentucky boasted 72 degree-granting schools, including 24 public institutions, 26 nonprofit private schools, and 22 for-profit institutions. Each school type offered both four-year and two-year program options, except for the nonprofits, which granted only four-year degrees. During the same period, 255,072 students, or approximately 1% of all U.S. learners, attended one of these Kentucky institutions. While Kentucky’s collective student population is higher than that of many states, including Nevada, Oregon, Idaho, Nebraska, Rhode Island, and New Mexico, this figure has decreased by 13% since 2011. During the 2018-2019 school year, two-year public schools in Kentucky charged learners an average of $5,310 in tuition costs and fees. Similar expenses at four-year colleges and universities averaged $10,710. At the state’s flagship school, the University of Kentucky, in-state candidates paid $12,245 each year in tuition and fees, and out-of-state learners paid $29,099. While educational expenses vary from school to school, state aid can help make it financially possible to attend the best online colleges in Kentucky. State-based financial aid programs like the Kentucky National Guard Tuition Award Program, the Early Graduation Scholarship Certificate Program, the Early Child Development Scholarship, and the College Access Program awarded undergraduate students with a total of $219,922,775 in aid between 2015 and 2016. Along with these funding opportunities, the state sponsors work-study initiatives that provide candidates with employment while they study. Online college classes in Kentucky are popular with state residents and out-of-state learners alike. According to the Distance Education State Almanac 2017, 96,817 Kentucky students, or 37.3% of all candidates, were enrolled in at least one distance learning course. This figure is nearly 8% higher than the 29.7% national rate. Over 40,000 students in the state were pursuing their studies entirely online, including 27,551 undergraduates and 13,563 graduate students. Of these individuals, nearly 80% are Kentucky residents. This higher-than-average percentage demonstrates Kentucky students’ unique interest in distance education. In contrast, candidates pursuing on-campus or hybrid coursework number 218,531, or 84.2% of college students statewide. When compared to 2012’s on-campus student body of 86.8%, this statistic reveals a waning interest in traditional, on-campus education. The growing popularity of online learning has driven considerable program expansion and made distance education readily available throughout the state. For example, the Kentucky Community and Technical College System (KCTCS) maintains agreements with other local schools, which allows students to take online courses from some of the best online colleges in Kentucky. Candidates enrolled in KCTCS institutions may enroll in classes at universities such as Eastern Kentucky University, Morehead State University, and the University of Louisville. KCTCS also works with Kentucky Virtual Campus to deliver online courses at the associate, bachelor’s, and master’s degree levels, as well as professional certification classes and vocational training. The Southern Regional Education Board (SREB) is an alliance committed to building and maintaining educational standards. Working alongside state officials, the SREB creates research-based policies and best practices for postsecondary institutions. SREB member states include Kentucky, Texas, Alabama, Georgia, Delaware, Arkansas, Oklahoma, Florida, Louisiana, South Carolina, Virginia, Tennessee, Mississippi, West Virginia, Maryland, and North Carolina. In addition to advocacy, the SREB sponsors the Academic Common Market and Electronic Campus (ACM/EC) program. The ACM/EC initiative allows both on-campus and online students to pay in-state tuition rates while attending out-of-state schools if no in-state school delivers their chosen program. If a student in Maryland, for instance, cannot locate a master’s in cybersecurity within the state, that student could enroll at an out-of-state college which offers the program and pay the same tuition rates as resident learners. With the exception of professional degrees such as those in law or dentistry, candidates may request any program not listed in the ACM catalog. Benefiting students and universities, ACM/EC allows schools to focus on providing new and unique degree opportunities instead of duplicating programs offered at other institutions. Below, you will find our rankings of the best online four-year programs in Kentucky. Our profiles look at how schools approach online education and then list out their services for distance students and their popular, fully online degrees. After reviewing the best online schools in Kentucky, explore our state resources, like a database of every college and university in Kentucky or our index of popular, in-state scholarships. Founded in 1925 by the Ursuline sisters of Mount Saint Josephine in Maple Mount, Kentucky, Brescia University serves students from a variety of backgrounds. After World War II, the need for coeducational extension courses in Owensboro became apparent, driving the Ursuline sisters to create a second campus. In 1950, the two campuses consolidated to one location in Owensboro. Three years later, the first four-year graduates received their diplomas. In 1957, the university earned accreditation from the Southern Association of Colleges and Schools and has maintained accreditation ever since. Brescia University maintains a license to operate as an independent institution in Kentucky by the Kentucky Council on Postsecondary Education. Some programs at the university also highlight programmatic accreditation by the Kentucky Education Professional Standards Board, such as the teacher education programs. Brescia University offers BUOnline for distance students who need an alternative learning environment. BUOnline offers more than 10 degree options at the certificate, associate, and bachelor's levels. Most courses feature an accelerated format, allowing students to earn their degree as quickly and efficiently as possible. These courses last eight weeks and feature fully online assignments. The university offers four associate programs including business, integrated studies, liberal arts, and human services. Bachelor's students choose from six different program options: psychology, social work, theology with a pastoral studies emphasis, integrated studies, accounting, or business. Graduate students can choose between two different master's programs: management or social work. Brescia University applicants each get their own admissions counselor who can answer any questions and ensure each student's concerns get resolved in a timely fashion. Admissions counselors help applicants navigate the application process and assist with transferring any previously earned credits. Every application gets reviewed on an individual basis, and students who do not meet the minimum requirements may still get accepted pending certain circumstances. Midway University is a private, liberal arts institution offering career-focused majors. The university features both traditional semester undergraduate programs and accelerated, evening, and online options for both undergraduate and graduate students. Midway promotes diversity and has students from across the United States and many from across the world. Originally founded in 1847 as the Kentucky Female Orphan School, the university has a Christian affiliation but welcomes students from all faiths and spiritual practices. The 200-acre campus doubles as a working horse farm. Located 15 minutes from Lexington, the campus rests in the center of internationally renowned horse country in Kentucky and is surrounded by some of the best thoroughbred farms in the world. The historic town of Midway was founded in the 1830s by a railroad company, and trains still run through the campus and town. The university boasts many online programs including two associate program options, 25 bachelor's programs, and three master's programs. Associate students can pursue a degree in business administration or a degree in nursing. Bachelor's students have a wide selection of options such as criminal justice, English, marketing communications, psychology, and sports management. The marketing communications program allows students to select a concentration in graphic design or writing. The three master's programs include an MBA program, a master of education program, and a master of science in nursing. Students can connect with their academic advisers to explore different minor options. Midway maintains accreditation from the Southern Association of Colleges and Schools Commission on Colleges. The nursing programs all feature programmatic accreditation by the Accreditation Commission for Education in Nursing, and the university's education programs feature accreditation from the Kentucky Education Professional Standards Board. Murray State University places an emphasis on excellent teaching and student learning, blending different educational opportunities with the nurturing student-teacher interactions usually only found at smaller universities. The university offers undergraduate and graduate programs with core studies in liberal arts and sciences, leading to advanced education. Founded in 1922, Murray State is a four-year public institution with almost 9,500 enrolled students. Murray State features a variety of online programs. The bachelor of science in business programs at the university feature a completely online curriculum due to the transfer agreement between Murray State and the Kentucky Community and Technical College System (KCTCS). KCTCS offers all lower-level requirements for the business degrees online for students completing their program through Murray State. These unique programs allow business students to complete their program no matter where they live. Online business programs include business administration, computer information systems, and logistics and supply chain management. Students in the online business administration program graduate prepared for a variety of career opportunities in the business field. In the program, students gain an understanding of the different functional disciplines of business including economics, finance, accounting, computer information systems, management, and marketing. Some potential careers include retail management, real estate, and investor trading. Students in the online computer information systems program combine business and technology during their curriculum, learning how to work with people and create new software. Graduates of this program go on to work in banking, insurance, healthcare, service, and education. Their roles include selling, planning, management, design, and implementation of software systems. Specific careers include business systems analysis, computer operations management, and e-commerce development. The logistics and supply chain management students focus on managing and coordinating the efficient flow of materials, information, and products within organizations. Graduates often go on to pursue careers as supply chain managers, logistics analysts, and operations managers. Asbury University remains committed to providing academic excellence and spiritual vitality by encouraging students to listen, worship, and serve God with one another. The university features 15 academic departments and provides students with the chance to get involved both on and off campus. These opportunities include internships, missions and community service, and exchange programs. More than 22,000 alumni live around the globe, serving all 50 states and 80 different countries. Asbury boasts a 13-to-1 student-to-faculty ratio with more than 70% of classes holding less than 20 students. Ninety-nine percent of students at Asbury receive financial aid, and room and board charges at the university are almost 40% lower than flagship universities. Out-of-state students often experience higher tuition costs and can get deterred from attending a school outside of their state of residency. Asbury attracts out-of-state students by granting them an automatic additional $2,000. For a decade, the university has experienced a 100% acceptance rate for math and science graduate schools, and Asbury student loan default rates come in at four times lower the cost of the national average. Asbury also identifies as one of only two schools in the state with a nationally accredited music department. The university offers various adult professional studies opportunities designed for students who need to finish their degree through an online program. Additionally, online students can pursue six different bachelor's programs: ministry management, organizational management, leadership and ministry, instructional design, social work, and elementary education. Online programs feature an accelerated format with courses lasting eight weeks. Applicants must complete an admissions application, apply for financial aid, and provide two recommendation letters and transcripts from all previously attended schools. Eastern Kentucky University offers general and liberal arts programs, professional and pre-professional training in education, and other fields at graduate and undergraduate levels. The university is located in Richmond which sits 26 miles southeast of Lexington and features a major network of highways, making it easily accessible from all parts of Kentucky and the surrounding states. Richmond also identifies as one of the Commonwealth's fastest growing cities with nearly 33,000 residents. Officially founded in 1906, Eastern became a four-year institution in 1922 and awarded its first degrees in 1925. In 1928, the university earned accreditation from the Southern Association of Colleges and Schools and has maintained accreditation ever since. The first graduate program was a master of arts in education and came about in 1935. The university was renamed from Eastern Kentucky State College to Eastern Kentucky University on February 26, 1966. Online programs are divided into categories such as business, nursing, corrections and juvenile justice, occupational therapy, and homeland security. Online programs feature six different start dates throughout the year to maximize convenience for online students. The online business programs at Eastern include a bachelor's of business administration in either accounting, general business administration, or risk management and insurance. Additionally, business students can earn a post-baccalaureate certificate in accounting. All business programs feature AACSB International accreditation, a generous transfer credit transfer policy, and fast-track opportunities for students with at least 80 credits. Featuring a magnificent hilltop campus in Bowling Green, Western Kentucky University offers a wide variety of academic programs. WKU aims to prepare students of all backgrounds for a variety of service and lifelong learning opportunities. Founded in 1906, Western Kentucky University initially began as a teacher training institution and later granted its first four-year degrees in 1924. WKU features accreditation from the Southern Association of Colleges and Schools Commission on Colleges. The university awards associate, bachelor's, master's, specialist, and doctoral degrees and features a variety of opportunities for online students, including two associate degrees and more than 15 bachelor's degrees. WKU's associate degrees feature an 100% online curriculum that students can complete in as little as two years. With the proper planning, an associate of arts or science might count toward a four-year bachelor's degree. Online bachelor's programs are taught by the same professors who teach the on-campus courses. Minors and certificate opportunities also exist for online students as a part of their bachelor's programs. Students with previous credit hours can combine course delivery formats. Online bachelor's programs encompass a variety of degree options including dental hygiene, health information management, computer information technology, criminology, and health sciences. Applicants must submit their admissions application, official transcripts, and ACT or SAT scores. The University of Kentucky is a public university committed to improving lives through research, creative work, educational excellence, service, and healthcare. As Kentucky's flagship institution, the University of Kentucky promotes diversity, economic development, inclusion, and human well-being. The University of Kentucky boasts a variety of opportunities for online students wanting to earn a degree. Divided into different colleges, the online programs at the university encompass arts and sciences, agriculture, communication and information, design, education, engineering, fine arts, health sciences, public policy and administration, human development, and nursing. The college of arts and sciences features master's programs in digital mapping and applied statistics. The college of agriculture highlights a master's in retailing and tourism management program comprised of 30 credit hours that prepares students to work in merchandising, tourism, hospitality, and retail. The communication and information college offers a master's in library and information science, and the engineering college offers a master's degree or graduate certificate in manufacturing systems engineering. Students interested in enrolling in the college of fine arts can pursue an online master's in arts administration, and those in the college of health sciences can enroll in the bachelor's in medical laboratory science. The RN-to-BSN program proves a popular option for online students. This program allows registered nurses the flexible online format they need to develop their skills and continue their education. To gain admission to this program, applicants must hold a 2.5 minimum GPA and an associate degree in nursing from an accredited college. A comprehensive public university known as one of the best online colleges in Kentucky, Morehead State University places an emphasis on regional engagement and becoming the best public regional university in the south by prioritizing student success and academic excellence. Located in the foothills of the Daniel Boone National Forest in Rowan County, the university was founded in 1887 as a private, church-supported institution. Upon its founding, the university was known as a "light to the mountains." In 1926, it became a part of the state-supported system and gained increased enrollment. Experiencing a variety of name changes as most universities do, MSU received its current designation in 1966. MSU prides itself on educating students to succeed in a global environment and engaging them in scholarship, promoting diversity of ideas and people, fostering innovation and collaboration, and improving the quality of life for the community. MSU offers several online opportunities to students. Some undergraduate programs feature a completely online curriculum and some offer the last two years of coursework online after students complete the first two years on campus. Undergraduate programs offered fully online include adult and higher education, educational technology, English as a second language, leadership in medical imaging, technology management, and university studies. The accounting, business administration, computer information systems, and general business programs all require the first two years of coursework to take place on campus. MSU offers nearly 20 different online master's programs featuring degrees in career and technical education, communication, counseling, English, sociology, wellness promotion, and sport management. Additionally, the university features a doctor of education program, a nursing BSN post-licensure program, and a post baccalaureate certification for special education. Northern Kentucky University, a growing metropolitan university, boasts more than 14,000 students and 2,000 faculty members on a suburban campus in Highland Heights. Located just seven miles from southeast Cincinnati, the university serves as a leader in both greater Cincinnati and Kentucky, providing students with a private school education for a fraction of the typical cost. Though one of the fastest growing universities in the state, the professors at the university take the time to get to know their students as individuals, providing them with the highest quality of education possible with a 19-to-1 student-to-faculty ratio. NKU offers both accelerated and traditional online programs to undergraduate and graduate students. Accelerated programs feature seven-week sessions that last all year, while the fully online MBA program offers five-week sessions for the most accelerated format possible. Undergraduate students can major in a variety of topics including psychological science, criminal justice, business information systems, and library informatics. The bachelor's in business administration online program allows students to choose between general business, global supply chain management, management, or marketing. Undergraduate students studying online can also choose between eight different minors such as women's and gender studies, communication studies, and political sciences. NKU also offers a business informatics certificate and cybersecurity certificate to online undergraduate students. NKU features 12 different options for online master's programs including health science, educational leadership, and business informatics. The master of science in nursing online programs allow students to tailor their degree to their career goals and personal area of interest. Some possibilities for those wanting to become a nurse practitioner include adult-gero acute care, family care, nursing education, nurse executive leadership, and psych-mental health. The university also features seven different graduate certificates such as the total worker health certificate, emergency management certificate, and nurse practitioner advancement certificate. Campbellsville University was founded in 1906 and prides itself on being a comprehensive Christian university that offers certificates and noncredit technical programs as well as associate, undergraduate, and graduate programs. Dedicated to academic excellence, the university remains grounded in liberal arts as it fosters the personal development of all students. The university strives to prepare students to serve as Christian leaders for lifelong learning and continued scholarship. The university features accreditation from the Southern Association of Colleges and Schools Commission on Colleges. Many programs offer programmatic accreditation, such as the music program which is accredited by the National Association of Schools of Music. Additionally, the teacher preparation program features approval from the Education Professional Standards Board and accreditation from the National Council for Accreditation of Teacher Education. The social work program boasts accreditation from the Council on Social Work Education, and the RN-to-BSN nursing program features accreditation from the Accreditation Commission for Education in Nursing. Campbellsville offers a staggering 52 degrees online. Online associate programs include business administration, Christian studies, criminal justice, education, general studies, and mass communication. Bachelor's students can pursue a degree in business administration, criminal justice administration, general business, leadership and missions, liberal arts and science, pastoral ministries, or social work. Certificates are also offered in a variety of areas such as journalism and ministry. Master's programs at Campbellsville include degree options such as management and leadership, music education, special education, computer science, and justice studies. One of the most popular programs for online master's students at the university remains the MBA option. Online MBA students can focus their degree in their area of interest by choosing a concentration in accounting, church management, healthcare management, human resource management, marketing, information technology, or international business. The University of Louisville identifies as a state-supported research university in Kentucky's biggest metropolitan area. The 287-acre campus sits three miles from downtown Louisville, housing eight of the university's 12 schools and colleges. Downtown Louisville features the Health Sciences Center among the medical complex and housing for the university's health-related programs. University of Louisville strives to teach diverse undergraduate, graduate, and professional students and develop them into engaged leaders, scholars, and citizens. The university boasts many options for online students at both the undergraduate and graduate levels. Additionally, students can pursue certificates or endorsements. There are ten options for online bachelor’s students including sports administration, women’s and gender studies, and organizational leadership and learning. The organizational leadership and learning program offers three different tracks in healthcare leadership; career and technical education; and leadership, training, and organizational development. The 120-credit program offers an accelerated format as well, allowing students to fulfill the requirements in three semesters. University of Louisville offers 12 different master’s degree options for online students including higher education administration, biostatistics, engineering management, social work, and special education. Many of these programs allow students to focus their degree on their career goals and personal interests by choosing a concentration. Kentucky State University sprawls over a large 882-acre campus and includes a 204-acre agricultural research farm and a 306-acre environmental education center. Chartered in 1886, KSU began as a land grant institution in Frankfort. The university offers associate, bachelor's, and master's degree programs. Among the public institutions of higher education in Kentucky, KSU features the lowest student-to-faculty ratio. KSU clings tightly to its vision to put students first, value and respect diversity, maintain motivated, talented, and diverse students, and instill lifelong learning. The university strives to maintain its reputation as an intellectual environment conducive to research and community service and leadership in teaching. Above everything else, the university ensures students come first and courses push them to their full potential to learn, develop, and connect their classroom skills to the outside world. Students who prefer to study abroad or from home can pursue online programs at KSU. Currently, the university features three undergraduate and two graduate fully online programs. These programs provide access to the same courses as on-campus counterparts and are taught by the same professors. In addition, KSU offers different online courses to earn credit toward a variety of on-campus degrees or certificates and provides more than 50 online classes to students each semester. Online bachelor's programs at KSU include criminal justice, psychology, and public administration. Also offered is a master's program in special education online and a doctoral program in nursing practice online. >Union College was founded in 1879 as a United Methodist Church-affiliated college. The student body represents 35 different states and 17 countries with 47% of undergraduates from Appalachia and 66% of undergraduates from the state of Kentucky. Union supports a diverse academic environment dedicated to a liberal arts foundation integrating higher order into all ways of thinking. The university encourages students to take part in civil engagement and service throughout the community and strives to celebrate Appalachian heritage. Union College identifies as a nationally recognized community of learners with graduates who become distinguished contributors to the overall well-being of individuals, the environment, and the economy. The college values celebration, integrity, responsibility, civility, lifelong learning, engagement, and spirituality. Union College provides the adult learner community with full access to online undergraduate and graduate degrees and offers several programs with six starting points each year, including 8-week courses, allowing students to accelerate their degree plan to accomplish their educational and career goals in a timely manner. Union offers online undergraduate programs in business administration, law management, RN-enforcement and substance abuse, and a bachelor of science in nursing. Graduate programs include an online MBA, an administration program, athletic administration, healthcare administration, and information systems management. Online graduate applicants must hold a bachelor's degree from a regionally accredited institution, complete an admissions application, provide all transcripts, submit two letters of recommendation, provide a goals statement, complete a signed curriculum contract, and hold a 2.5 or higher GPA. Prospective MBA students should hold an undergraduate business degree. Located in Owensboro on the Ohio River, Kentucky Wesleyan College identifies as a United Methodist-related academic institution and is approved by the University Senate of the General Board of Higher Education and Ministry. KWC partners with the United Methodist Church to foster a liberal arts education that nourishes and prepares students spiritually, intellectually, and physically for success. For over 150 years, the university has served students with liberal arts tradition, ensuring students think critically, communicate effectively, and live ethically in today's world. KWC places a strong emphasis on student success, ensuring that every course offered promotes a positive college experience aimed at graduation. The university boasts a close-knit community committed to the well-being and success of all students. The vibrant campus creates a safe space for students to engage in social, service, and leadership opportunities. KWC focuses on "The Wesleyan Way" which emphasizes honor, support to one another, competing with integrity, and a love for each other in Christ. KWC features accreditation from the Southern Association of Colleges and Schools Commission on Colleges. KWC features 100% online programs for students in six different disciplines. Students can earn their online bachelor's degree in business administration, criminal justice and criminology, general studies, graphic design, psychology, or religion. The online business administration program, which boasts specialized accreditation from the International Assembly for Collegiate Business Education, prepares students to take on professional careers in business or pursue graduate studies. Nestled in Columbia, Lindsey Wilson College was founded in 1903 as the Lindsey Wilson Training School. The school got its name from the deceased nephew and stepson of Catherine Wilson who contributed $6,000 toward the construction of one of the school's first buildings. By 1934, the academy closed and the school officially become a junior college exclusively. Lindsey Wilson remained a training school until 1979 when it became a college. LWC aims to serve the educational needs of students by providing them with a learning environment and atmosphere that promotes active caring and Christian concern. The university features accreditation from the Southern Association of Colleges and Schools Commission on Colleges to grant associate, bachelor's, master's, and doctoral degrees. Some programs at the college also boast programmatic or specialized accreditation, something that attracts many employers. LWC offers Lindsey Online to students who need more flexibility with their degree. Lindsey Online offers four different undergraduate programs to students including business administration, criminal justice, human services and counseling, and an RN-to-BSN nursing program. Additionally, the university offers three different graduate programs online: an MBA, a counseling and human development program, and a teacher as leader program. LWC's RN-to-BSN online program allows nurses with a bachelor of science in nursing to gain additional professional benefits. Earning a BSN enables nurses to become effective leaders in their field as they assume various managerial positions within different healthcare organizations. Below, you’ll find our list of the most affordable online schools in Kentucky. We’ve gathered the schools offering the best online programs in the state and ranked them here by lowest tuition, for those students wanting the most bang for their buck. 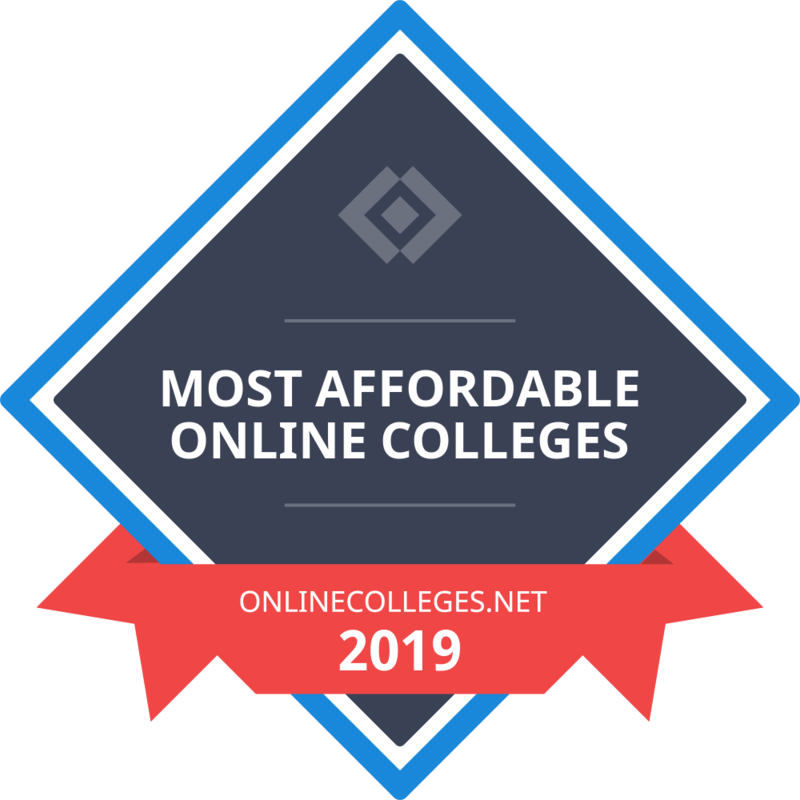 Our list of the most affordable online colleges is based on in-state yearly tuition, or annual tuition rates if a school does not differentiate between in-state and out-of-state students. Tuition rates are based on a full course load each semester or term. All colleges on the list offer at least one bachelor's degree completion program available entirely online. The online schools in KY with the lowest tuition are ranked highest, providing prospective students with a true list of the most affordable online colleges in their state. Although Kentucky’s unemployment rate has steadily increased from 4.0% to 4.5% since April 2018, certain professional categories have experienced positive growth over the past several months. By September 2018, the number of trade, transportation, and utility positions rose from approximately 411,000 jobs in April to 414,000. While unemployment remains an issue in Kentucky, residents pursuing careers in the right fields enjoy a variety of job opportunities. Some of Kentucky’s most lucrative industries include food and beverage, with over 50,000 employees in the field. The state also produces more cars per capita than other areas, and boasts a 63% rise in private aerospace manufacturing jobs since 2002. Kentucky is a major producer of aluminum and exported nearly $30 billion of state-made merchandise in a single year. Average salaries for Kentucky workers fall across a broad spectrum. While workers such as court reporters and human service assistants earn, on average, less than $30,000 a year, Kentucky marketing managers and aerospace engineers may bring in more than $100,000 annually. Residents seeking well-paying careers should focus on pursuing jobs within the state’s thriving industries. Open to Kentucky seniors attending All âA' Classic schools and pursuing full-time, in-state college studies. Applicants must sign a drug-free declaration and provide recommendation letters, personal essays, and transcripts. High school students living near the Beck's Southern Marketing Area must create a video application, hold a 3.0 GPA, and live in select states. Kentucky high school seniors may apply. Recipients must attend the Civic Society's banquet. Eligible Kentucky students must hold at least a 2.5 GPA, and receive additional funds for higher GPAs or ACT scores. Open to Kentucky learners pursuing the Child Development Associate Credential, relevant undergraduate degrees, or a director's certification. Candidates must work a minimum of 20 hours per week. Students in Kentucky coal counties may qualify, but must intend to study pharmacy at a college level. Each recipient agrees to work at a pharmacy in a coal county to avoid repaying funds. Learners in Kentucky coal counties pursuing their bachelor's may apply after completing 60 credits. Applicants must hold a teaching certification and must agree to teach in the state to avoid repayment. Open to Southern Kentucky Association of Paralegals members pursuing paralegal degrees in Kentucky. Applicants must hold a 3.0 GPA, provide recommendations, and complete four paralegal classes. Applicants must be Kentucky students enrolled in or intending to enter a real estate-related program. Candidates must supply transcripts and demonstrate a 2.0 GPA or better.